The annual WBO convention saw the governing body an update on the mandatory challenger situations for several of its champions. One of those champions is WBO junior middleweight champion Jaime Munguia. 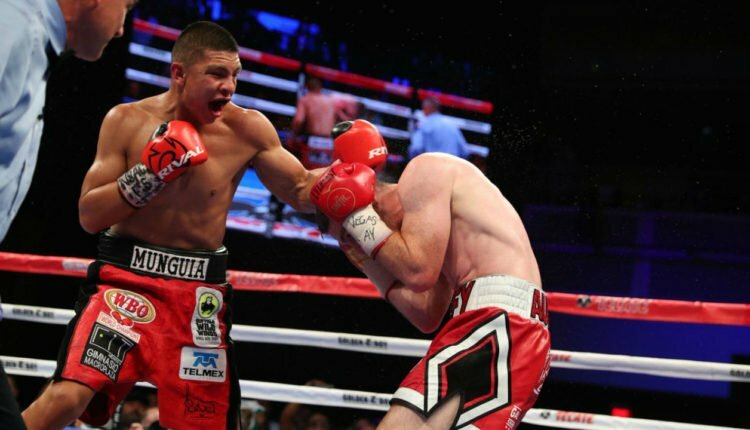 Munguia has been rumored to return to the ring in the coming months, but he currently does not have a mandatory challenger yet. The WBO named Dennis Hogan, ranked No. 1 by the organization at junior middleweight, the mandatory challenger only if Hogan wins his next fight on December 15 in Australia. Moving on to WBO minimumweight champion Vic Saludar, he will know who his mandatory challenger will be in just a matter of weeks as Wilfredo Mendez fights Robert Paradero. The fight is a final eliminator and it will take place on December 7. The other title eliminator ordered by the WBO is one at super flyweight. The title is vacant, but Donnie Nietes and Kazuto Ioka are set to fight for the title on December 31. The title eliminator will see Aston Palicte, who fought for the vacant title in early September, fight undefeated contender Jose Martinez. That fight, if it takes place, does not have a set date. As for WBO super bantamweight champion Isaac Dogboe, his upcoming title defense against Emanuel Navarrete on December 8 will now be considered as a mandatory title defense despite Navarrete not being the top-ranked contender by the WBO. Finally, the WBO has created an interim WBO cruiserweight title while undisputed champion Oleksandr Usyk is defending his title against Tony Bellew on November 10. Maksim Vlasov and Krzysztof Glowacki will fight for the interim title on November 10 in a World Boxing Super Series quarterfinal bout.